Most authors have enough saved blog posts on how to market a book to fill an anthology. But the benefit of a marketing book is that it covers one person's philosophy or approach from start to finish, so you can get a better look at the whole picture. 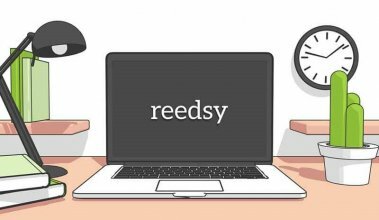 Blog surfing can result in a lot of conflicting half-thoughts. 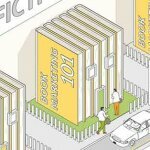 So if you’re looking to brush up on your marketing savvy but still want the pleasure of flicking through chapters of seamless narrative, we suggest taking a look at the following ten best marketing books for authors — all hand-picked by the industry experts on our marketplace! Check out the 10 best marketing books for authors as suggested by industry professionals! For new authors, there are a dizzying amount of marketing channels and activities to consider. 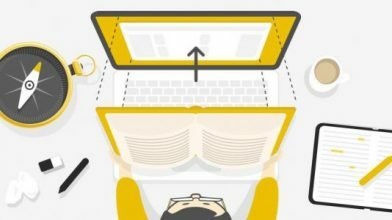 “Let me turn to the experts,” you might think, going to Amazon to search for guides on book marketing — only to be presented with another amount of overwhelming options. Why not start with this pick from Adrienne Sparks, a former associate director of marketing at Random House. TLDR (too long, didn’t read): Budding authors with little previous experience publishing and marketing will likely find this step-by-step guide a comforting companion during their first run. The idea behind permission marketing is that it is the opposite of traditional advertising or “interruption marketing” — the practice of snatching a potential customer’s attention away from something else and towards your product. Instead, permission marketing convinces individuals to welcome a company's advertising through brand awareness, incentive programs, and community building efforts. 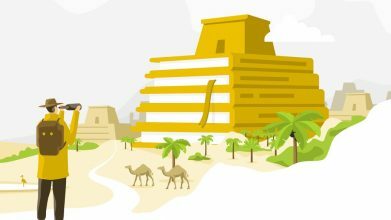 TLDR: An interesting look at the history of marketing, this book focuses on shaping your message to build relationships with your customers. 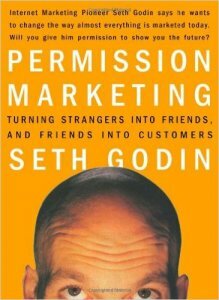 What is "permission marketing?" 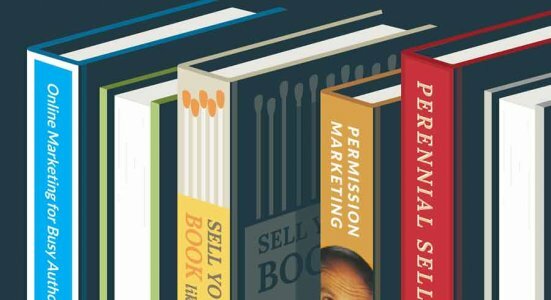 Check out this list of marketing books for authors to find out. Another one of Michael Doane’s picks, this book urges creatives to look beyond opening weekend when launching a new product. Instead, it encourages the reader to create things that can be used for the long haul: perennial sellers. It reminds us that our absolute best marketing asset is the product itself — and if the product isn’t up to snuff, no marketing hacks or shortcuts will make it a success. TLDR: Full of case studies to prove his point, Ryan Holiday’s book is about creating products that will last, and how to work for your success instead of waiting for it to happen overnight. 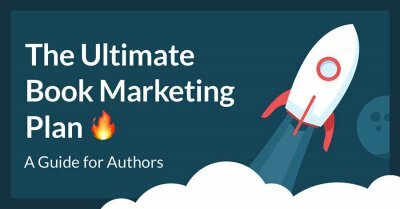 This choice was written by our marketplace’s very own Rob Eagar — who is also the man behind our free course, How to Create the Ultimate Book Marketing Plan. While it was written for nonfiction and fiction authors alike, we are recommending it primarily for writers of nonfiction. From how to prepare for interviews and creating content for your author website, to determining value statements that appeal to readers, this book provides actionable tips that covers a wide range of marketing activities. 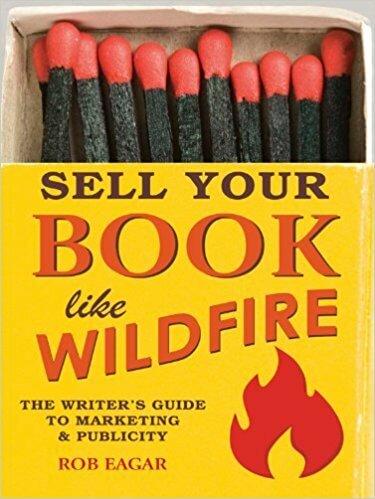 TLDR: If you’re a non-fiction author looking for A-Z marketing tips you can try yourself, try this book. If you weighed the pros and cons of self-publishing and traditional publishing and decided that self-publishing’s increased freedom and control is for you, then give this book a read! Both Guy Kawasaki and this book were two of self-publishing’s original advocates and trailblazers. They promote the concept of “artisanal publishing,” in which the stigma of self-publishing as a default choice when an author is unable to secure a book deal is replaced by the notion of non-mass produced, carefully handmade goods. 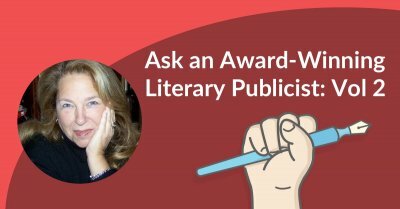 "Indie authors engaging in “artisanal publishing” must embody the role of Author, Publisher, and Entrepreneur — and this book tells you how to do so. TLDR: For authors who are willing to treat self-publishing like their own start-up business and need a push to get going. 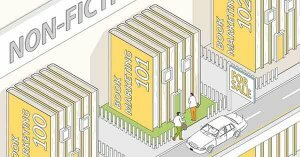 What is "artisanal publishing"? 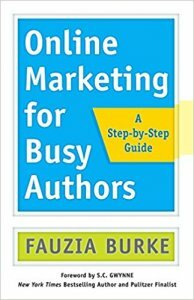 Check out this list of marketing books for authors to find out! If Eagar’s book is an A-Z guide to marketing, then this book by Nick Stephenson zeros in on a letter. Or rather, two letters: R/M. Reader magnets. They are a crucial part of any authors marketing plan, so you may as well read a whole book on the subject matter and get yourself firmly up to speed. According to many Goodreads reviews, the great thing about this book is that while many book-specific marketing guides out there feel more catered towards non-fiction, Reader Magnets focuses significantly on how fiction authors can build readers funnels. TLDR: For authors seeking a clear-cut plan for setting up and successfully using mailing lists. 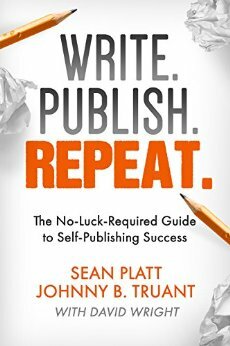 The big lesson behind this book can be found right in its title: to make a living as a published author you need to write a book, publish a book, and then do it again. It, therefore, encourages indie authors to accept that publishing success requires dedication and commitment to being “in it for the long haul.” It also teaches you how to incorporate marketing into the entire process of writing a book, not as a second course that follows getting your book on Amazon. The co-authors became indie hits in 2013 and have since created over 15 independent franchises across 50+ published works, so the book is full of real-life examples from their own lives. TLDR: An encouraging read for indie authors looking to learn about a wide range of marketing topics: covers, titles, formatting, pricing, publishing to multiple platforms, and more. In this day, most careers — and especially creative ones — require you to wear several hats. To make a living off your writing, you will likely have to do more than just write books. 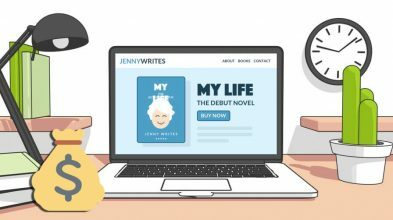 This guide covers a range of subjects, one of which is notably how to earn multiple streams of income from your writing and how all of your side writing projects can support your first goal: marketing your book. TLDR: How to market your book by doing lots of other income-earning writing. You may be a great author. But are you a great copywriter? The two skills require separate muscles, but both are important to get right if you want your work to end up on people’s reading lists’. 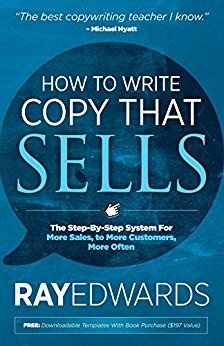 This book goes over how to structure compelling copy for the various types of media you might be advertising on, covers common copywriting mistakes, and provides templates you can apply to your own product. You’ll be ready to join the ranks of Don Draper in no time. TLDR: Born-writer but not born-marketer? 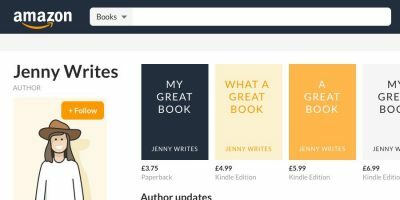 Learn how to write all over again — this time copy that will allow you to increase your sales on Amazon and to get more out of an adverts you run. "It doesn’t make you any less of an artist to know the ins and outs of marketing." #Marketingadvice this way! balance: don’t let money make you lose sight of your passion, but don’t neglect your business savvy. It doesn’t make you any less of an artist to know the ins and outs of marketing, it ensures you can continue to create by allowing you to reach audiences/customers. TLDR: Don’t read this book for actionable marketing tips — read it to remind yourself that your work’s success is worth fighting for. Have you read one of these books? Do you have any favorites we didn't mention? Drop them in the comments below and we'll add them to the list! Discover what goes into the perfect marketing plan that will sell more copies of your book. All great marketing books—and their are more out there like "The Frugal Book Promoter" by Carolyn Howard-Johnson. However, for those authors who are marketing Christian books, the market can be slightly different. My book "Your Guide to Marketing Books in the Christian Marketplace" is specifically geared toward those authors with Christian books—yes, a niche, but important market.